Very nice cottage, classified 3 stars ***, in detached house for 5 persons, 74 m2, on the vineyard with independent entrance comprising: 1 bedroom with 3 beds 1 person (90-1,90m), 1 bedroom with 1 double bed (1,40-1,90m), 1 kitchen with dining area (oven, microwave, ceramic hob, dishwasher, living room and dining room, flat screen TV, bathroom with shower and toilet. washing machine, courtyard, parking, games for children, high chair and cot on request. Private outdoor area, grass side, with garden furniture, sun loungers and barbecue. 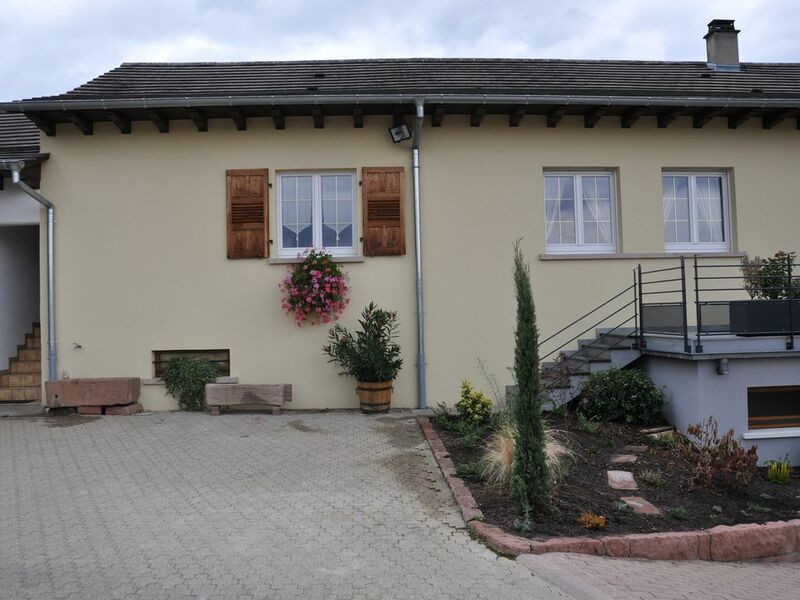 The cottage is situated at the entrance of Soultzmatt near the vineyards and not far from downtown. Soultzmatt is a charming wine village, very flowery (4 flowers) with many shops. 20 km south of Colmar and 25 km from Mulhouse, the location is perfect for visiting attractions. Near the Markstein (ski resort) and the ridge road, about 35 minutes. Draps compris dans le prix, lits faits à l'arrivée. Les serviettes de toilettes et les torchons ne sont pas fournis. Possibilité de ménage en fin de séjour au prix de 40 euros. La location du gîte à la semaine se fait du samedi 16 heures au samedi 10 heures. Possibilité de louer le gîte 3 jours / 2 nuits : 190 € et 4 jours / 3 nuits : 260 € et 5 jours/4 nuits : 300 € (hors juillet août) Taxes de séjour de 0,77 €/personne >18 ans/jour à régler sur place.